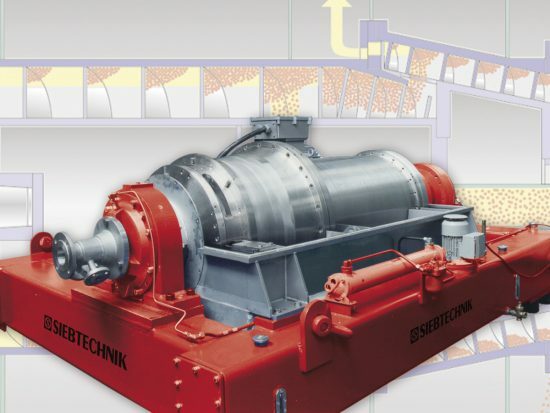 SIEBTECHNIK Sedimentation centrifuges, continuously working solid-wall scroll centrifuges are unique, functional and versatile. 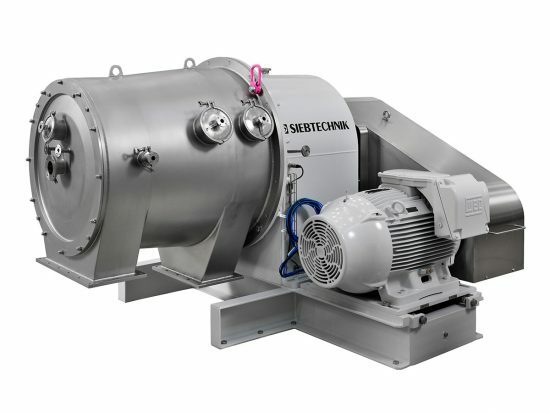 As straight sedimentation centrifuges they provide highly efficient separation of even the finest solids and near complete clarification of the liquid phases. Whether for minimum or maximum throughput, lowest or highest temperatures, of gas-tight design, chemical resistance or explosion protection – we provide an individual solution. 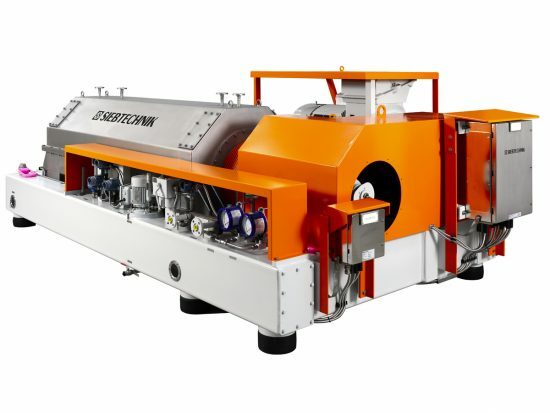 The three decanter types SBD, DZ and TS with drum diameters provide the user by customer-oriented individual designs with the optimum solution for nearly all processing sectors. As the sole manufacturer we provide designs with USDA approval, strict separation of of process and driving unit, and also increased operational reliability by circulating oil lubrication of all bearings, incl. gear unit and scroll bearing. With the special-type SIEBTECHNIK TWINCONE even washing and separate disposal of washing liquid is possible. The wish to continually reduce the dirt load in the waste water for sustainable protection of our environment (ZLD – Zero Liquid Discharge) and the demand from industry for maximum efficiency of production systems, for instance plastics production by suspension polymerisation, make sedimentation centrifuges belong to the most frequently used separating units.